The Victron Quattro 5000VA is a step up from the larger of the Multiplus range, offering additional capabilities at 12V, 24V or 48V. 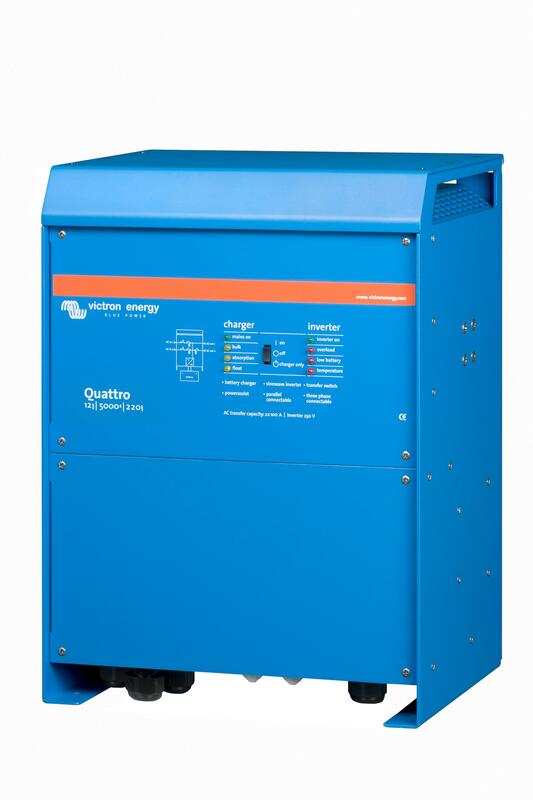 From boats, yachts and motorhomes, to complete backup systems, the outstanding quality of the Victron Quattro makes them invaluable in any power system. The added capability of having two different AC sources, as well as the DC power input, means that they can keep your system running whatever happens. 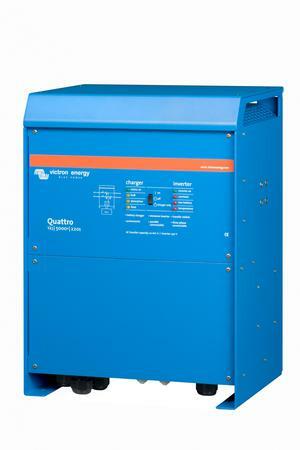 Up to 10 Victron Quattro inverter chargers can be set up to operate in parallel, so that ten 5000W units, for example, will provide 40kW - 50kW of usable power and a massive 2000A charging capacity.